And some are teaming up to get ahead. It seems that the modern age’s space race is here, and all sights are set on the Moon. 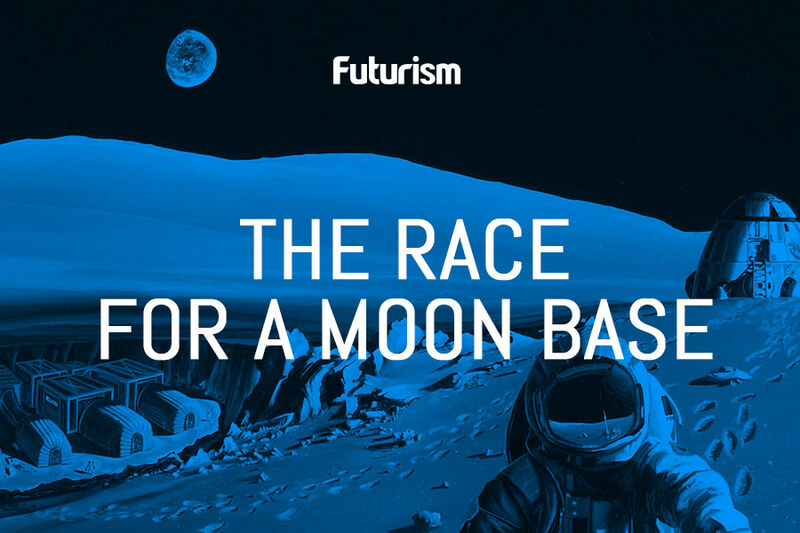 But this time, the goal isn’t just to get an astronaut onto Earth’s natural satellite, but instead space agencies around the world are coming together to build a human outpost. Some of the biggest players hail from China and Europe, and their respective space agencies have announced that they are engaging in international collaboration to realize a “Moon Village” vision. Even though China’s space program is relatively new compared to other space programs developed by the world’s superpowers, the China’s space agency has quickly proven itself since its first manned spaceflight in 2003. Currently, the country’s National Space Administration (CNSA) is aiming to collect samples from the Moon by the end of this year while also conducting a mission to the far side of the Moon to bring back additional samples sometime next year. The European Space Agency (ESA) has been paying close attention to China’s progress, with the ESA looking toward to future collaboration by calling for joint proposals since 2014. All this cooperation would explain the remarks about a shared lunar base on Chinese state media by China’s space agency’s secretary general, Tian Yulong, which was later confirmed by Pal Hvistendahl, an ESA spokesperson. When it comes to international collaboration, we are all left with a net-positive outcome. Some classic examples of this include the International Space Station, with eleven member states, and CERN’s Large Hardon Collider, which is utilized by 22 member states. Both enormous projects built on the international brotherhood that has propelled us forward in space commercialization, humanitarian aid, vaccine development, and more. But aside from technological advances, we see the power of scientific collaboration to deconstruct societal barriers. Borders become bridges and science sparks conversations. Maybe the United States will take hints from the ESA’s commitment to China. Currently, it’s illegal for NASA scientists to collaborate with any Chinese state employees on issues related to space. This is also the reason that Chinese astronauts cannot visit the ISS. But, perhaps the prospects of a lunar base could change that, as a lunar base would give us a great jumping off point for deep space exploration, mineral excavation, and low-orbit space commercialization.